As an escape from the hurly-burly of daily city life, I went to Riverside Springs Resort last weekend. The resort is located at Kurintar is 102 kilometers away from the capital city of Nepal, Kathmandu on the way to another beautiful city of Nepal, Pokhara in the western region. What I love the most about this resort is its beautiful swimming pool. The swimming pool is designed exquisitely; moreover, the water they use in the pool is fresh spring water. Since it is still monsoon, it was raining every now and then. The Trishuli River that flows near the resort was flooded and the color was muddy and dull, yet the view from the bar of the resort was soothing in some way. The overnight stay was so relaxing and pleasant. The day after we checked out and while we were preparing to leave, someone in the group popped a question if we can quickly visit Gorkha. 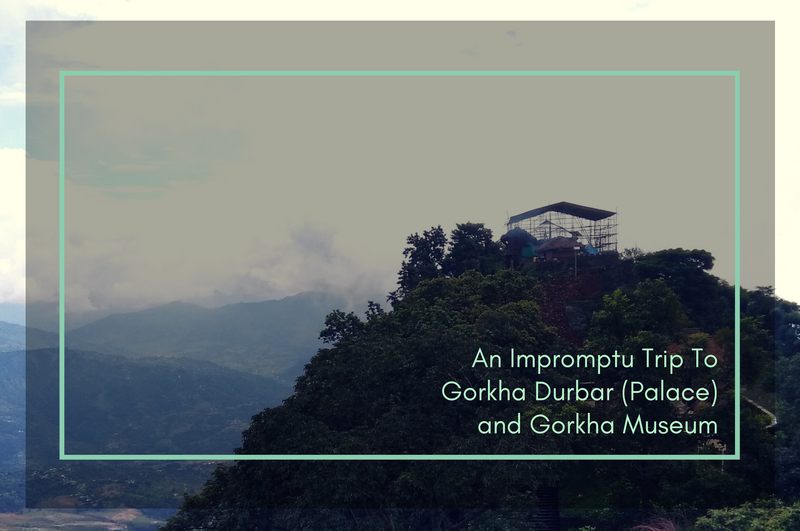 With a simple reason that none of us will come just to visit Gorkha from Kathmandu (where we all live), we decided to make a quick tour to Gorkha. But the truth is no one was just yet ready to return to daily routine. Whatever the reasons were, we went to Gorkha. Gorkha is one of the districts of Gandaki Pradesh (state) in Western Region of Nepal at 1210m above the sea level and 140 km far from Kathmandu. 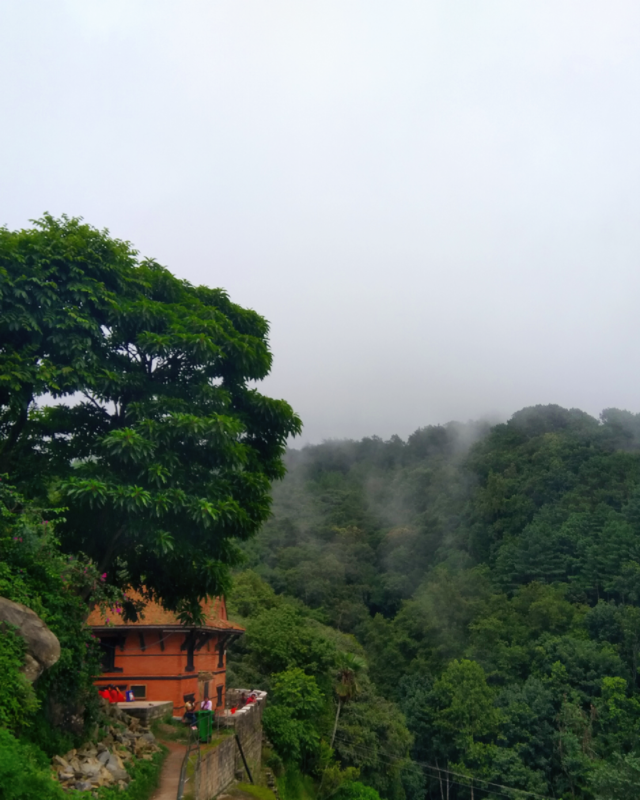 Since we were already at Kurintar, on Prithvi Highway (Kathmandu – Pokhara Highway), we just needed to drive to Abu Khaireni on the same highway. From there, we drove 24 km on a feeder road from north of Abu Khaireni to reach Gorkha. Gorkha has great historical significance as the unification of greater Nepal by King Prithvi Narayan Shah started from here. The first king of the Shah dynasty, King Drabya Shah, founded the Kingdom of Gorkha in the 15th Century. King Prithvi declared war against all other smaller kingdoms, after his victory, he united all those small kingdoms into one and founded modern Nepal in 1769. Gorkha is known to be the land of the world famous bravest of the brave soldiers, Gorkhali. 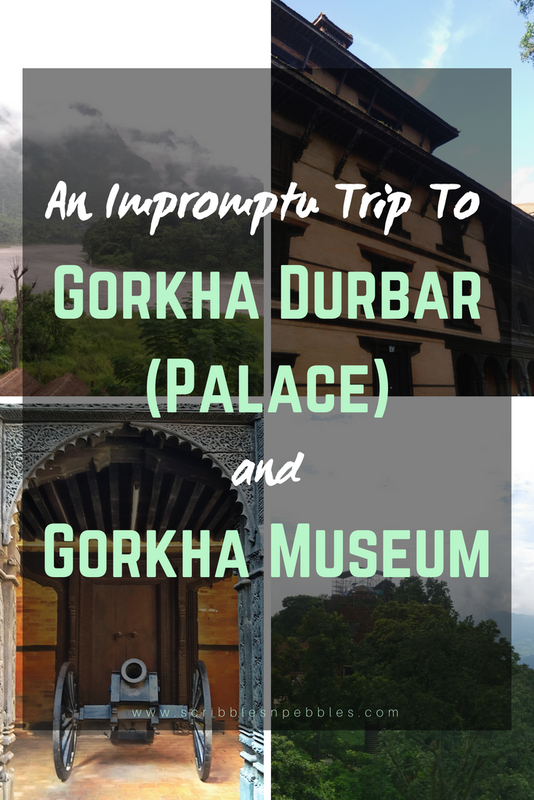 The major attractions of Gorkha are the Gorkha Durbar (palace), Gorkha Museum (Tallo Durbar), Gorakhkali Temple, Gorakhnath Cave, Fort (Upallokot) mesmerizing Himalayan Vista (Mt. Dhaulagiri and Mt. Manaslu) and the 360-degree view of the surrounding. Gorkha Palace also known as Upallo Durbar, built on the hilltop is one of the finest examples of traditional architecture of Nepal. As soon as you reach there, you will immediately understand the war-strategy behind the construction of the palace on top of the hill. With the perfect vantage point, one can easily see what is going on around. Unfortunately, the historic palace was going under reconstruction process when we reached there. Gorkha district is one of the most affected areas by the devastating earthquake of 2015. The earthquake inflicted damages to the Gorkha palace, Gorakhkali temple, Gorakhnath cave and many other structures in the area. It might take some years to complete the reconstruction work. 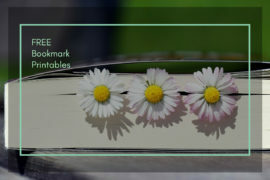 The place is equally important from the religious point of view. The Gorakhkali temple, the temple of Goddess Gorakhkali (guardian deity of Gorkha and Gorkhalis) is on the west side of the palace. 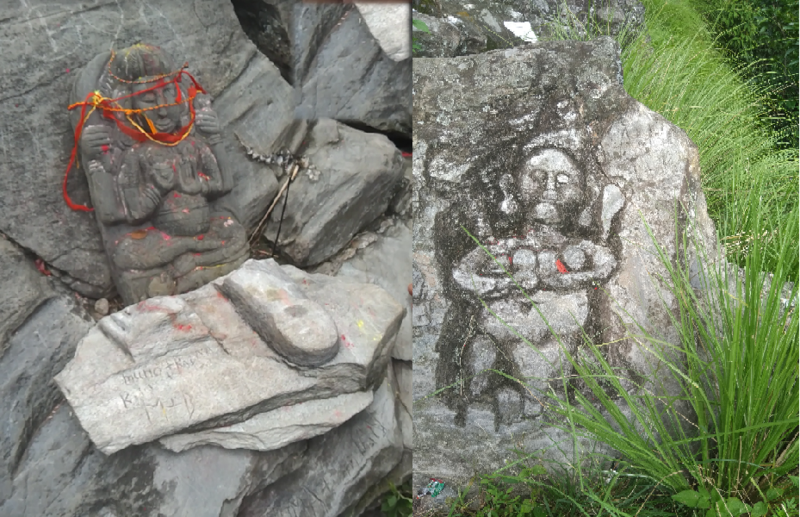 The famous Gorakhnath cave shelters the statue of Guru Gorakhnath (sage). And there are many smaller shrines and temples around the place. We could see many devotees and many small shops and vendors selling flowers and other necessary items for Puja along the stairway. Though it was raining in the morning, it turned out to be a bright and hot day. We were tired of walking those hundreds of stairs all the way up to the Gorkha palace and down from there. But it was equally exciting and fascinating at the same time. 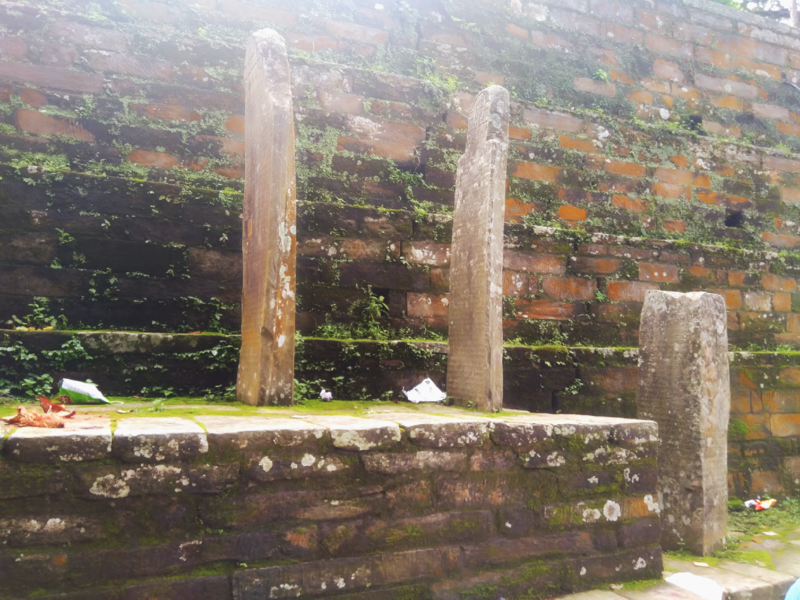 The stone stairways, the cobblestones paths, shrines and the lush greenery were boosting us to walk around in the scorching heat. We came down from the palace and rested under the shades of trees for a while. Groups of pilgrims were having their snacks and some were catching up their breath while children were running here and there in excitement. After resting for a while and cooling off, we started ascending to another hilltop, which was a bit smaller than the palace hilltop. On the top of the hill was the footstep (Siddha Paila) of Guru Gorakhnath. 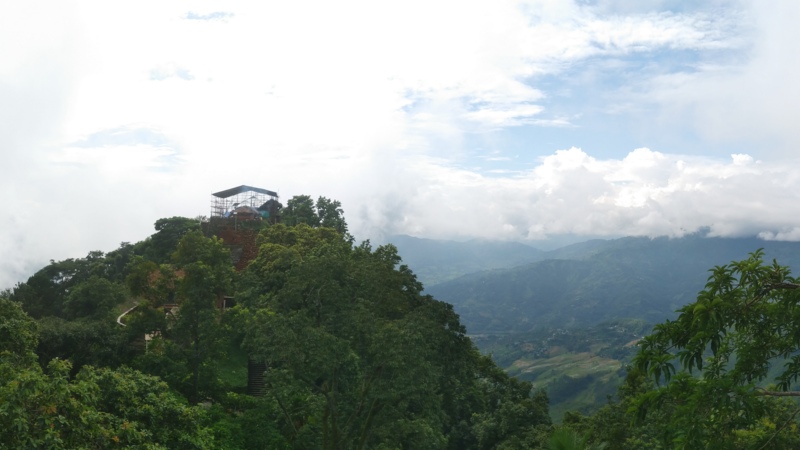 From atop one can view Gorkha Palace, beautiful mountains, and picturesque sceneries or surrounding hills. After spending some time, we descended down and headed to the Tallo Durbar, which is recently turned into Gorkha Museum. We didn’t go to Upallokot (fort) as we were running out of time. But when you are there, make sure to visit the fort. 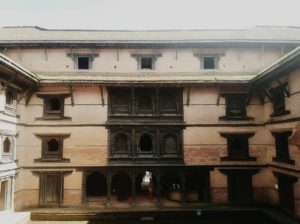 Gorkha Palace Museum is another major attraction of Gorkha. It treasures the art and artifacts from the days of King Prithvi Narayan Shah. 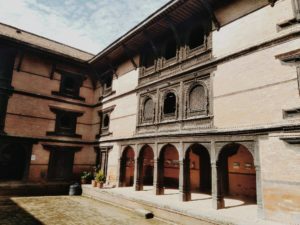 The Newari-style palace built in the 18th century is known as Tallo Durbar, which used to be the main palace of Shah kings before king Prithvi Narayan Shah. The museum has limited collection of armors, artilleries, and weaponry, traditional musical instruments, paintings depicting the history of Gorkha, the throne of King Prithvi Narayan Shah, and even costumes of local ethnic groups. The building of the museum is extraordinary with a beautiful internal courtyard. 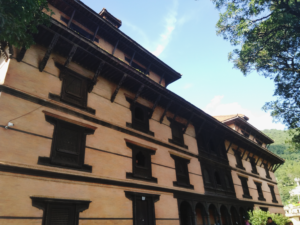 The wooden carved windows and doors of the museum building are the epitome of the fine architecture of Nepal. Wander the hallways of the building observing the collections and the garden of the museum. Everyone who has come to visit the museum was taking pictures, either of the museum or the selfie. We were so tired and started to get hungry by the time we finished touring the museum and got back to our vehicle. Satisfied with the prompt decision to come to Gorkha, we were now ready to get back to our K-Town. We had lunch at Malekhu at around 6 pm. That was the super late lunch I had in my life. How to get to Gorkha? Traveling to Gorkha from Kathmandu or Pokhara is very easy with the road transportation. There are daily bus services from and to both of the places from Gorkha. It takes 6 hours from Kathmandu and 3 hours from Pokhara to get here. Microbuses are faster as well as you can hire a car, jeep, and taxis from both Kathmandu and Pokhara. Like many other hiking destinations, Gorkha also offers great hiking experience with beautiful hills, friendly community, and warm hospitality. If you love to be close to nature as well as learn about history and culture, then Gorkha should definitely be on your travel list.